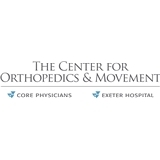 Core Orthopedics (Exeter) - Book Appointment Online! Excellent visit! Dr Colman explained my xray results, then provided me with multiple treatment options, many of which didn't involve surgery. Great teaching style and a wonderful listener. So happy to have found Dr Colman.